To learn more about how the Export Readiness Centers can help you start or grow your exports contact your local International Trade Specialist. Before you watch the WSBDC Export videos in the video section, please download the presentations listed below for review and notes as you watch the corresponding export videos. Most videos are 5-10 minutes long. Discussion of the reasons for starting or expanding your export activities as well as what resources are available to assist you in being successful. Take the Export Readiness assessment to better understand your ability to start or grow your exports. The assessment is also used by the Washington SBDC Trade Specialists to better assist Washington based businesses accelerate their path to successful exporting. Learn about the importance of researching your potential international markets and how to best prepare yourself to expand your markets. Washington State companies can get access to customized market research through working with a WSBDC Trade Specialist. Learn more about how to evaluate new international markets as well as doing a SWOT (Strenghts, Weaknesses, Opportunities and Threats) analysis of your business and opportunities. Gain a better understanding of what it means to have a good fit with any potential market across all the aspects of your business and the new market. Learn about the importance of having export controls and processes in place to insure you are operating within the laws and regulations governing exporting. Learn where to get the help you need to develop your processes and compliance manual. Learn about the four P’s (Product, Price, Place and Promotion) of marketing and how to develop a plan to address all four aspects to better insure success of the marketing efforts and long-term success. Learn the elements of a success plan that will help you start your exporting correctly and maintain your export success. Washington State companies will have access to both a WSBDC Trade Specialist and a Certified Business Advisor to assist in both developing and implementing their export plan. Discussion on shipping your products to international customers including what to do and resources to use. Learn about the programs and other resources that exist to specifically help you start and sustain exporting your products. Learn about the programs offered by the EX/IM (Export/Import) Bank to help US companies do more international trade while lowering their risks significantly. Learn about the accounting and transaction information and where to get the help you will need to successfully do international trade over the long term. Learn about common legal pitfalls in doing international trade, get some tips and learn where to get the help you need. Washington State is opening doors and developing pathways to foreign markets for our states companies and products. Watch Anderson Hay & Grain success story and listen to their firsthand take on the value of exporting. This video depicts an SBDC Export client in Spokane Washington who was interviewed for Small Business Saturday (11/26/2011) and the Certified Global Trade Specialist who has been working with her. Washington State is opening doors to foreign markets for our companies and products. Today 95% of customers are outside the United States! 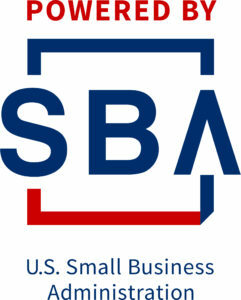 Your company can get free help with export training, financial advice, foreign business connections, trade agreements and events by tapping into resources from the Department of Commerce, Department of Agriculture, Small Business Developments Centers, Small Business Administration, Export Finance Assistance Center of Washington and more through http://www.exportwashington.com.